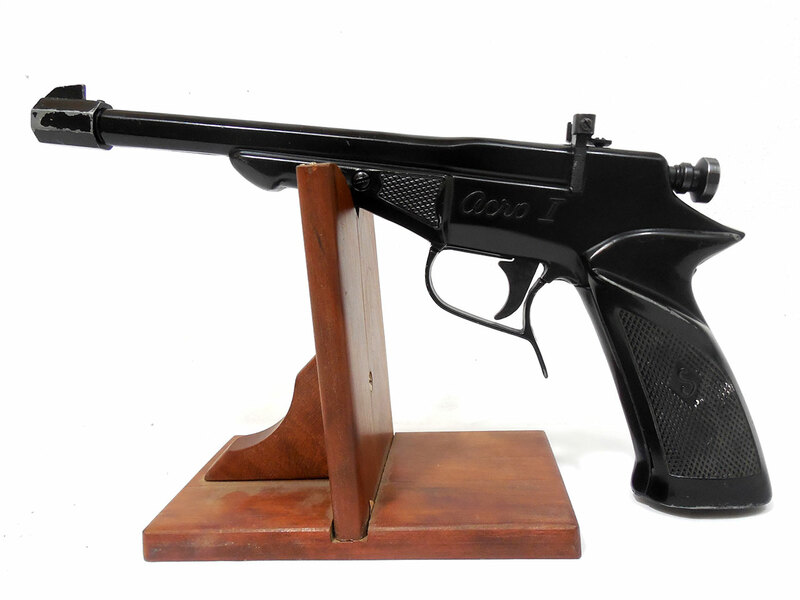 This Arco I is a Co2 powered .177 caliber pellet pistol, and pretty rare. They didn’t make them long, and it’s really hard to find good information on them. 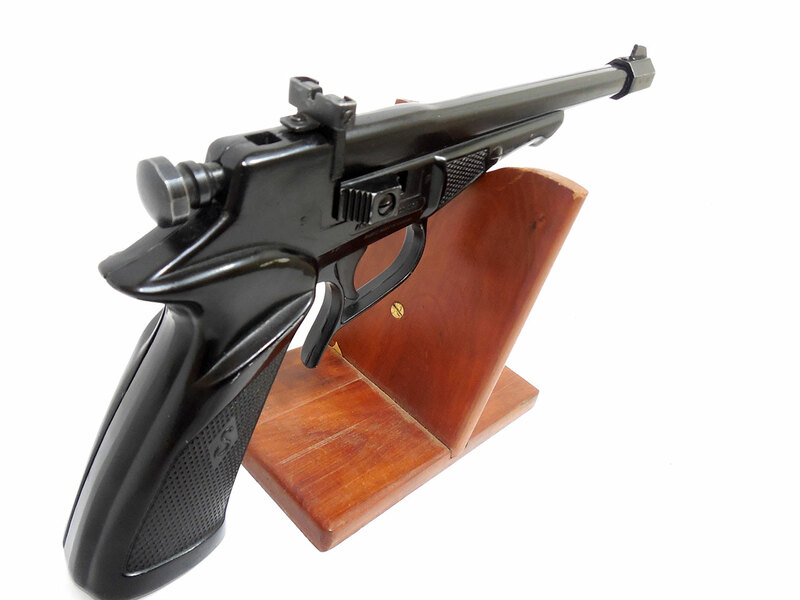 It makes a nice collectable if you like adding hard to find items to your airgun collection. 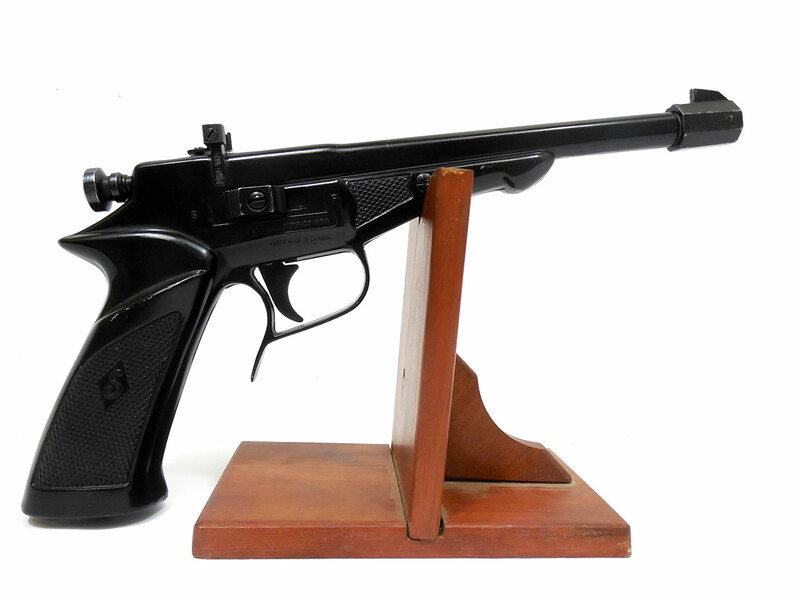 The metal retains about 95% of the original finish, and is really only showing wear mostly near the muzzle and front sight area. It looks great! Velocity was tested in our shop at around 370 fps using lead pellets.